scientifically-backed tools and training for healthier, happier, more human organisations. We all have mental health, all of the time. And just like physical health or dental health, there are clinically-backed ways to improve it. We work with world renowned academics and psychologists to develop all of Unmind's tools, training and assessments. Unmind is specifically designed for the workplace – we’re obsessed with employee engagement, cyber security, and rigorous reporting. We work with world class experts to create scientifically-backed programmes that anyone can use to proactively look after their mental health. 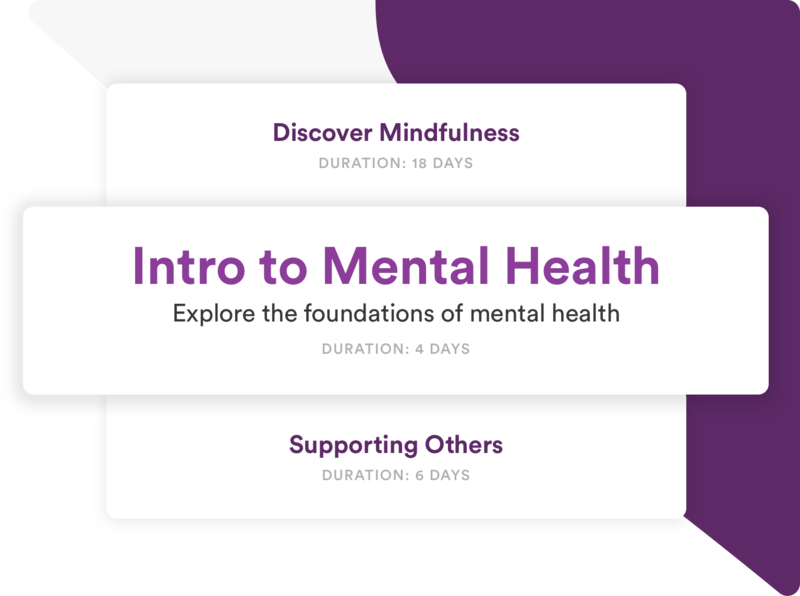 It could be sleep, stress, productivity, or even your ability to support others during a difficult time – all delivered in bite-sized chunks through audio, video, and interactive content. We all want healthy, happy minds. Luckily for us, there's a range of clinically-backed tools and training that have been shown to improve our mental wellbeing. In just a few short minutes, these exercises are designed to enhance relaxation, focus, energy, mood and much more. Think of it as a gym for your mind… in your pocket. How is your mental health today? What about two weeks ago? 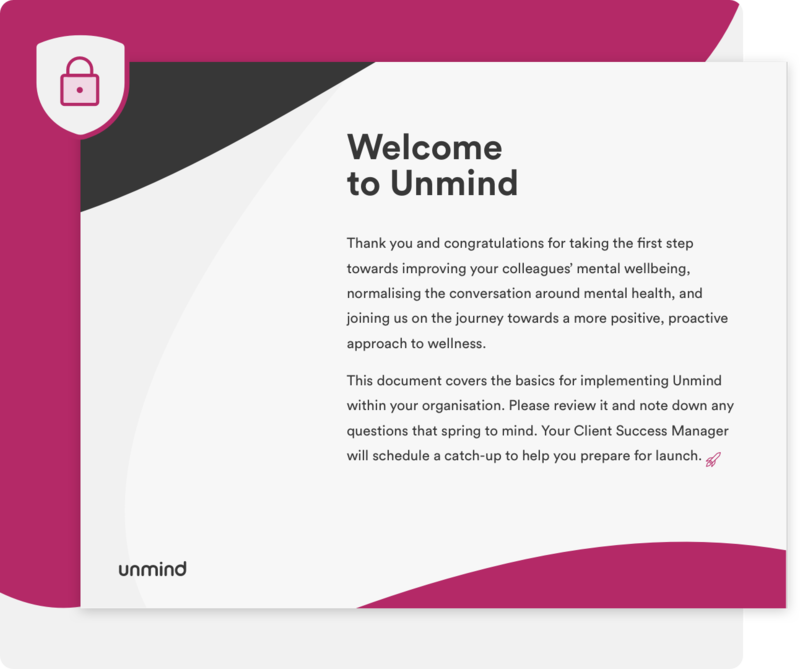 Unmind offers a range of ways for anyone to assess their mental health and wellbeing – from standardised questionnaires to everyday mood diaries. 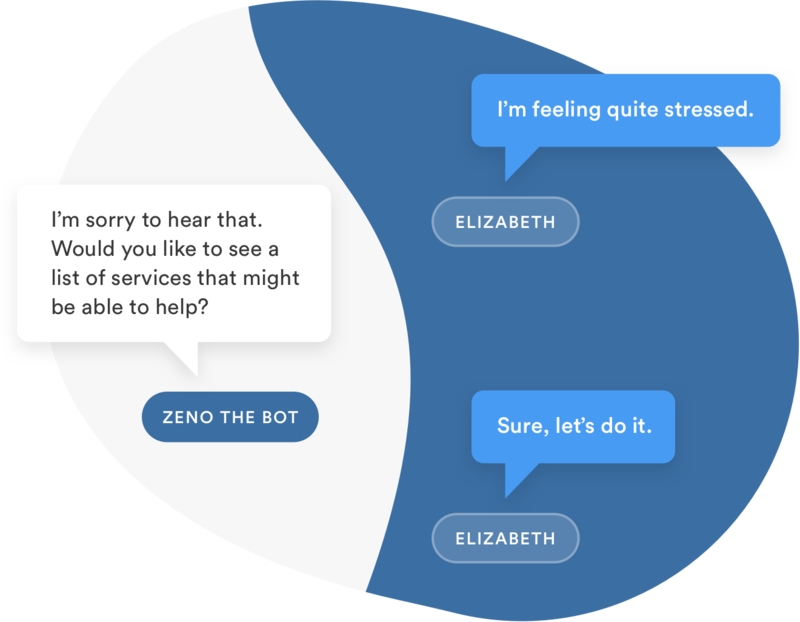 This helps to reduce stigma and ambiguity, whilst also providing actionable insights and personalised tips. The right help, at the right time. Just like physical health and dental health, we all encounter difficulties with our mental health from time-to-time. Unmind offers confidential information about 24/7 helplines and local healthcare providers. We can customise content for your team too – enhancing awareness of EAPs, peer support, or other internal services. We take data and design very (very) seriously. From Client Success to Cyber Security, we do all the heavy lifting to maximise employee engagement. Unmind is bursting with beautiful communications and fully GDPR compliant – ensuring that your organisation will not only love our platform, but trust it too. "The product and service are great - the team are incredibly committed to employee wellbeing and positive mental health. It’s testament to our working relationship that we’ve just renewed for another year!" 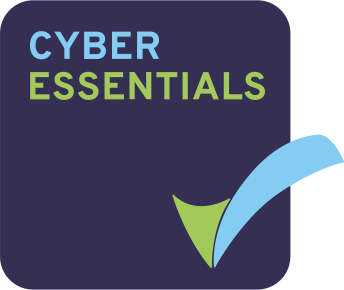 "We are delighted with the response our Partners have had to the introduction of Unmind across the John Lewis Partnership. It has given our Partners the means to manage their own mental health and those around them, providing a range of first class tools and learning programmes and the ability to share gratitude and praise with each other." "Friendly staff, interested in helping you navigate any concerns about the product and implementation. All Unmind representatives have done their best to put us at ease at every stage of the process. Lots of communication that is at the right level / frequency for your needs." 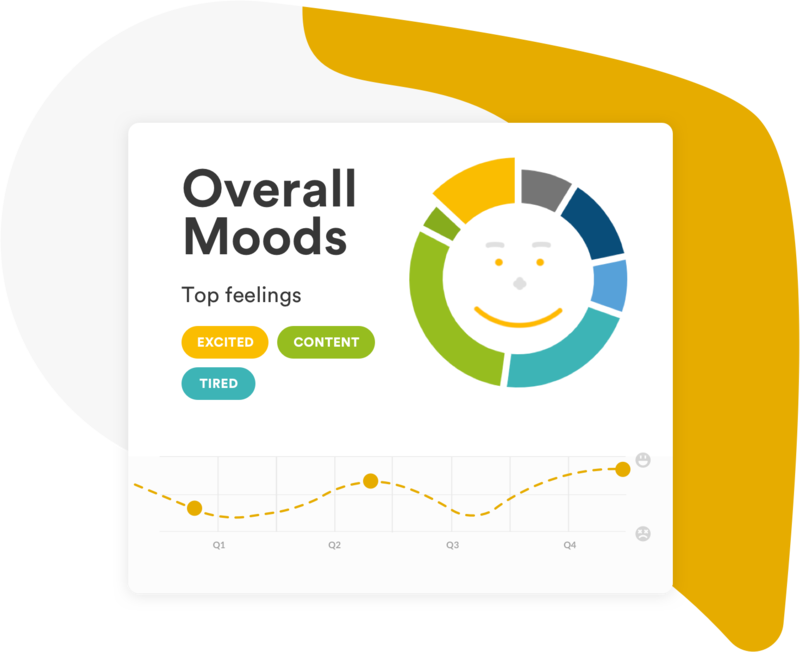 of employees report higher confidence, awareness and understanding of mental health after using Unmind. We’re incredibly proud of our client relationships (and they’re our #1 source of innovation). 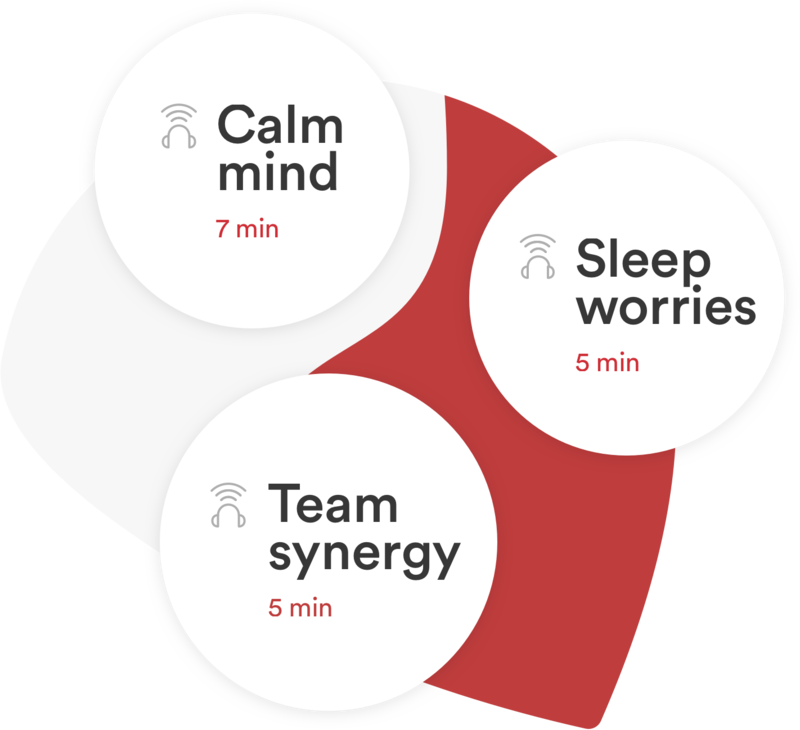 Unmind typically signs-up over 30% of employees, compared to just 2-4% of traditional solutions. are currently struggling with some form of mental health issue. have experienced a problem at some point and felt unable to discuss it. lost per year due to work-related stress, depression and anxiety. 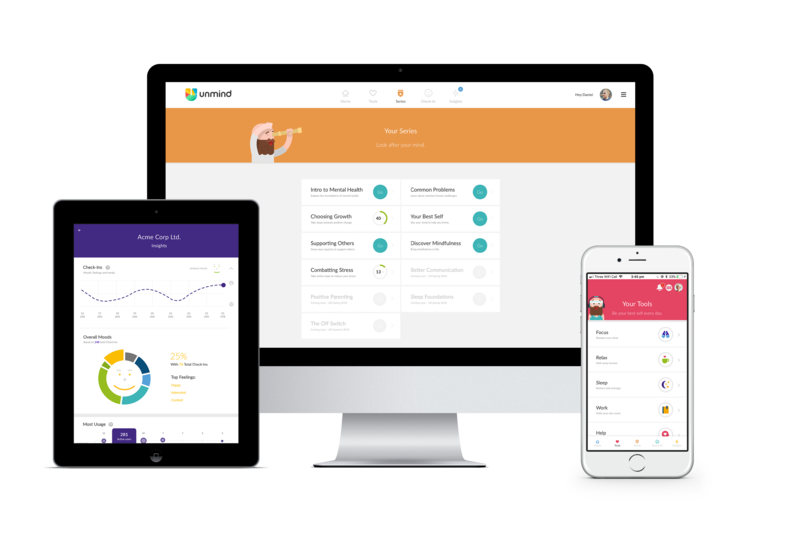 We’d love to tell you more about Unmind, schedule a free demo, or simply hear your thoughts on workplace wellness. Thank you! Your message has been received and we'll do our best to respond within 24 hours.